Keeping content updated – the firm can routinely review your online content to determine if any tuning for SEO is needed and refresh online information to make sure it is current. Analyzing traffic – the marketing firm can analyze your existing web site traffic and determine what types of visitors come to your site today, where the traffic originates, and if the quality of the traffic is appropriate for your site. Managing marketing campaigns – from email subscriptions to social media posts and promotional events the marketing firm can help you to keep track of campaigns to make sure they are properly promoted and complete on time and on budget. Releasing new information – Ebooks, white papers, blogs and other content-rich posts can be extremely valuable techniques to educate your readers, increase your search engine rankings and promote your business as a whole. Your marketing firm can help you to generate high quality online content that can provoke readers to take action. Benchmarking and best practices – because of the focus on marketing, the firm can bring to you new ideas and opportunities to benchmark against other companies and industries as well as make comparisons to competitors. Before taking on your marketing tasks using internal resources, carefully consider the benefits of online marketing firms and how they can provide value to your business initiatives. For more information please call us directly or click the button below and we will contact you. Thank you. Marketing firms can vary greatly in their specialties and in the services they provide. Some firms may be particularly skilled with radio or television ads, while others could be adept at event planning. Today’s businesses need online marketing firms more than almost any other type of marketing company. Online marketing needs have grown because so many buyers now look to theinternet first to research products or services in order to find solutions. Finding the right partner from a list of online marketing firms could be a toss of the dice. But with a little bit of review and some key questions you can find the right choice of online marketing firm for your company. What is your methodology to develop a marketing plan? Your marketing firm should be particularly interested in your business goals and current marketing approach. Then the firm should adapt a marketing plan that aligns with your business goals. What inbound marketing services do you provide? Better marketing firms will provide a comprehensive portfolio of services that include SEO, web design, email and subscription management, blog, content development and social media. Do you have experience in my particular industry? Look for firms that can bring to you their experiences and industry knowledge so that you can utilize benchmarks and best practices in your marketing plan execution. What type of tools do you use for marketing? It is important that your marketing firm uses the latest online analytics tools in order to provide in-depth analysis and insights into your web site activities, visitor demographics, and important SEO recommendations. Online marketing firms can talk a good game. Look for a firm that is sincerely interested in growing your business through the best inbound marketing techniques. For more information please call us directly or click the button below and we will contact you. Thank you. Has your online marketing program lived up to your expectations? Online marketing firms can often make a huge difference in how effective your online presence will be. The technical know-how can help your business to streamline processes so campaigns can be rolled out smoothly with minimal glitches. 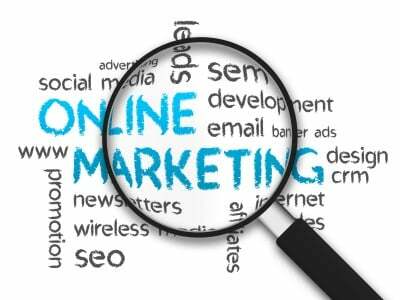 But there is much more than technical expertise needed with online marketing firms. 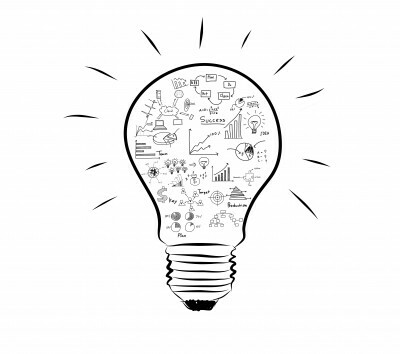 Marketing skills that incorporate your unique business and industry requirements are a necessary part of any marketing plan success. Leverage different channels – online involves much more than just a website. You should have a social media presence on Facebook, Twitter or other sites based on your target market presence. Blogs, email subscription services, white papers and other informative and insightful content should be utilized online to increase your brand awareness. Focus on your goals – your marketing strategy should remain focused on your primary business goals. This can be increasing the number of new accounts, cultivating and nurturing existing customers, or expanding into new territories. Analyze – use online analytic tools to evaluate how well your marketing strategy is performing. The reports can include visitor demographic information, originating web site information and other important data that can be used to help your business. SEO – search engine optimization is a powerful tool that online marketing firms should be very skilled in using. By implementing key search terms you can increase the likelihood of the right target finding your business when searching online. Through the use of SEO you will not only get increased visitors on your web site but you will also receive much better leads that convert to customers. Seldon Marketing can bring you the technical expertise as well as business marketing knowledge. For more information call us directly or click the button below and we will contact you. Thank you.